*President Barack Obama’s approval rating has hit its highest point in two years – 60 percent – and more than half of Americans now say he deserves to be re-elected, according to an Associated Press-GfK poll taken after U.S. forces killed al-Qaida leader Osama bin Laden. In worrisome signs for Republicans, the president’s standing improved not just on foreign policy but also on the economy, and independent Americans – a key voting bloc in the November 2012 presidential election – caused the overall uptick in support by sliding back to Obama after fleeing for much of the past two years. Comfortable majorities of the public now call Obama a strong leader who will keep America safe. 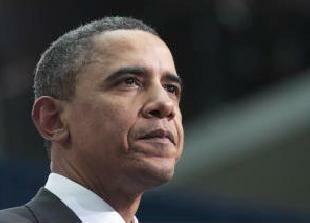 Nearly three-fourths – 73 percent – also now say they are confident that Obama can effectively handle terrorist threats. And he improved his standing on Afghanistan, Iraq and the United States’ relationships with other countries. Read/learn MORE at LA Daily News. The shyt is banannas! He “wasn’t” worthy of a respectable rating, until he “got” Binny!? Like…allllll the shyt he has cleaned up INSPITE OF the Repubs blocking him at EVERY turn, “wasn’t enough”!? So now…after proving he’s an “American” with his “borth papers”, I hope this man can get ALL the fkn respect AND honor he DAMN WELL deserves!!! On a “not so side note”?, mofo’s are STILL complaining about “how” he got ole Binny, & stating shyt like..he shouldn’t have killed him etc… Now..in THIS fkn country?, can yall just imaaaaaagine WTF they would be saying about his “lack of strength/balls/leadership” etc, if he had NOT killed Binny!!?? And after successfully “spinning all lem fkn plates” of MAJOR issues! I mean G.Daaaaaym!! !, can the man get some fkn…RESPECT & “leave alone”!!?? FK!! Well, I hope after this achievement/ victory, he finally can! “Go America”, Arge! Who in the hell do they ask for approval? Because I don’t never remember them asking me jack!